Several parts of India are facing a drought-like situation. Private weather forecaster Skymet says the country is likely to witness a below normal monsoon this year. With over 50 per cent of India's sown area almost completely dependent on rains for irrigation, any variation in rainfall - timing, quantum, spread - can severely impact the rural economy. 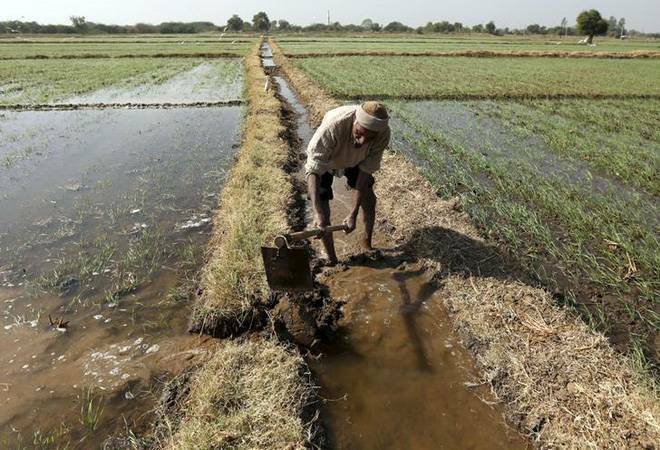 The Modi government recognised the importance of micro-irrigation when it pledged to increase allocation for the Pradhan Mantri Krishi Sinchai Yojana (PMKSY) but actual expenditure on irrigation has been lower than budgetary projections. In 2017/18, the Centre budgeted Rs 3,400 crore for the PMKSY, revised it to Rs 3,000 crore the next year, while actually spending Rs 2,819 crore. The main reason for squeeze in public investment in agriculture is huge increase in input subsidies, including recent direct income support. It is time to have a re-look at this policy.